TriDrive is breaking grounds where other supplements have failed. 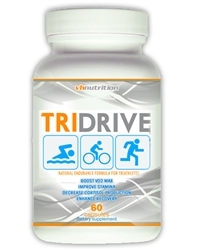 TriDrive is a breakthrough new triathlete and endurance supplement. Designed to boost VO2 Max and while helping the body to adapt to the stress that comes from training for endurance events. TriDrive works with your body to allow more oxygen to be used efficiently and improve endurance over time. You new race PR is here. UPDATE: Competitor magazine now supports key ingredients in Tridrive. Read the Article Here. TriDrive was developed using herbs and minerals that have been known for thousands of years to improve performance with endurance related tasks. The best example of this is one of the main ingredients in TriDrive called, Rhiodioa Rosea. This herb is a type of adaptogen that the Sherpa community of Nepal has been using for thousands of years. In multiple clinical studies it has been shown to improve the circulatory and respiratory systems. In time this means more oxygen, improved VO2 max and better overall efficiency during activities. The concept of adaptogens and their use in endurance training comes from what these herbs do. They help the body adapt to stress. By enabling your body to adapt to two hours a day of training you can be continually pushing your body to the next level. We use three primary adaptogens: Cordyceps, for mental adaptation, Rhiodiola, for endurance adaptation, and Tonkat Ali, for musculature adaptation. This combination helps your body and mind produce better results naturally. Q. 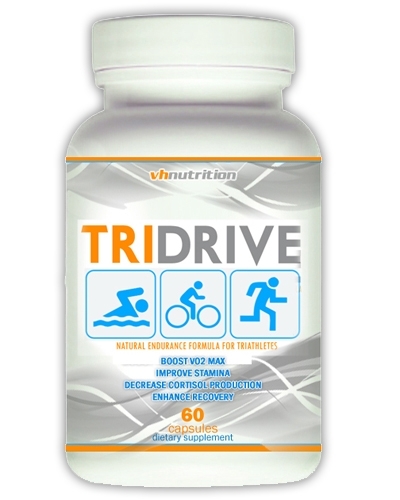 Does TriDrive have any side effects? Q. How long does TriDrive take to work? A. Most users report a feeling of overall improved endurance levels within a week or two. Q. Does TriDrive work for everyone? A. TriDrive is formulated for endurance athletes. If you are not training for at least 8 hours a week then this might not be for you. A. TriDrive orders are processed within 24 hrs. and ship the following day. All orders are shipped first class USPS and arrive within 2 to 4 days. Tridrive is developed from adaptogens. While currently a fringe idea they have been around for thousands of years. Rhiodiola Rosea for example has been used by the Sherpa community in Nepal for thousands of years and has been shown to improve oxygen output while improving oxygen efficiency. We are all unique creatures, and that includes how supplements interact with our system. Your doctor can help you make sure that this is the right product for you.